Strep throat and tonsillitis are sore throats. While these 3 terms are often used interchangeably, scientifically you must know that they are not the same. A sore throat is a viral infection and often, it is the first sign of a cold. It may be accompanied with other symptoms such as a runny nose, cough, watery eyes and sneezing. Other causes of a sore throat may include smoking, polluted or dry air and allergies. Strep throat is a bacterial infection caused by a bacterium called Streptococcus. While you can get a sore throat relief fairly quickly at home, it may be a bit tricky to determine whether or not you or your child is suffering from a common sore throat caused by viruses, or the more serious case of strep throat or tonsillitis. It is always best to take precaution. Therefore, should you or your family members experience the below, please seek medical attention straight away. 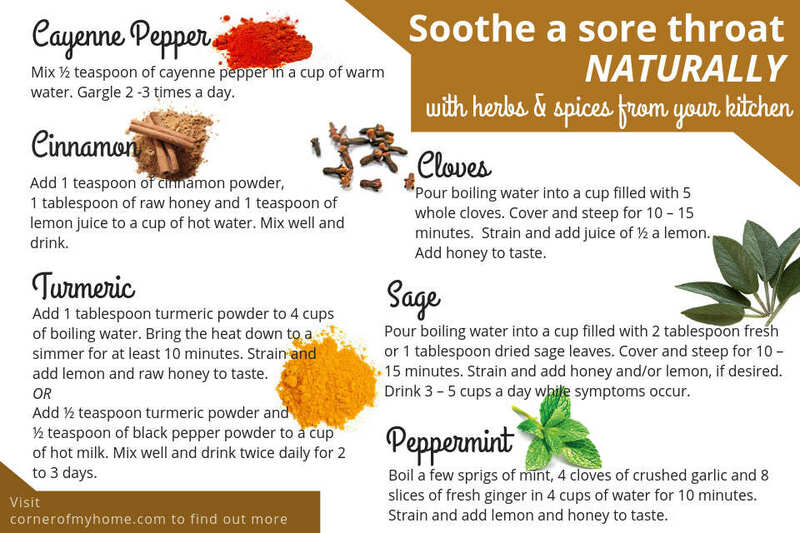 If you are having a common sore throat, here are a few natural ways to ease the pain. The following ingredients can be easily found in your kitchen. Furthermore, you can effortlessly make your own remedies in no time. Salt has amazing anti-bacterial properties. It will help wash away the bacteria and neutralizes the acid that may be causing the irritation. Gargle with salt water. This is the first thing I do when the first sign of a sore throat comes on. You should do this too. It is the easiest home remedy. My grandmama told me so. ⇒ Mix ¼ teaspoon of salt in a cup of warm water. Gargle 2 -3 times a day. The last before going to sleep. This helps soothe a sore throat tremendously and quickly too without disturbing a good night's sleep. Cayenne Pepper is a natural antibiotic. Also, a natural analgesic which means pain reliever. Together with its anti-inflammatory properties, gargling with this spicy solution helps to soothe your throat irritation quickly. ⇒ Mix ½ teaspoon of cayenne pepper in a cup of warm water. Gargle 2 -3 times a day. Cayenne pepper helps ease the pain of a canker sore too. If you love cooking at home, I am pretty sure you will have turmeric. In the world of Ayurveda, it is known as a natural antibiotic. Curcumin, a compound found in turmeric has powerful anti-inflammatory, antiviral and antibacterial properties. You can find relief from drinking turmeric tea easily made from the comfort of your home. ⇒ Simply add 1 tablespoon turmeric powder to 4 cups of boiling water. Bring the heat down to a simmer for at least 10 minutes. Strain and add lemon and raw honey to taste. Lemon helps to kill bacteria while raw honey is antimicrobial and anti-inflammatory. Drink the turmeric tea 2 to 3 times a day for at least 3 days for sore throat relief. ⇒ Add ½ teaspoon turmeric powder and ½ teaspoon of black pepper powder to a cup of hot milk. Mix well and drink twice daily for 2 to 3 days. Milk helps soothe the throat and black pepper fights infection and enables absorption of curcumin. If you do not have turmeric, try sage or clove tea. This you how you can make your cup of comforting tea to soothe your throat. ⇒ Pour boiling water into a cup filled with 2 tablespoons fresh or 1 tablespoon dried sage leaves. Cover and steep for 10 – 15 minutes. Strain and add honey and/or lemon, if desired. Drink 3 – 5 cups a day while symptoms occur. Caution: Sage tea is generally not recommended for use during pregnancy and lactation. Sage with its antibacterial and anti-inflammation properties, has been commonly used since ancient times to combat colds, fevers, sore throat and for controlling inflammation. It is also known to improve memory, lower blood glucose and cholesterol levels. Cloves contain a substance called eugenol, which is a natural pain-killer with antibacterial properties. Together with its anti-inflammatory qualities, cloves will surely help in soothing your throat. ⇒ Pour boiling water into a cup filled with 5 whole cloves. Cover and steep for 10 – 15 minutes. Strain and add the juice of ½ a lemon. You may add honey if desired. This is another must try spice should you readily have them at home. And I am sure you do. Cinnamon has anti-inflammatory properties and its antimicrobial effects help you get relief from throat pain. ⇒ Simply add 1 teaspoon of cinnamon powder, 1 tablespoon of raw honey and 1 teaspoon of lemon juice to a cup of hot water. Mix well and drink. I suggest you find out more about the health benefits of cinnamon. Besides, you must know how to differentiate Ceylon with Cassia cinnamon. The full article explains. Click here to read. ⇒ Boil a few sprigs of mint, 4 cloves of crushed garlic and 8 slices of fresh ginger in 4 cups of water for 10 minutes. Strain and add lemon and honey to taste. If you do not have fresh mint leaves, substitute with peppermint tea bags. Consider pouring this concoction into a flask to keep warm and drink it throughout the day. 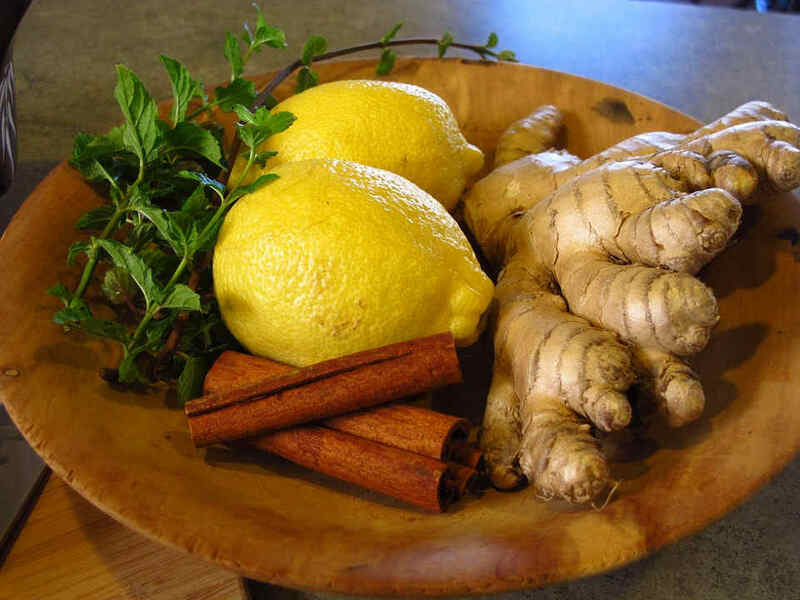 Peppermint, ginger and garlic are antimicrobial thus help destroy viruses and bacteria. Furthermore, menthol found in peppermint has a cooling effect to soothe your sore throat. Caution: Mint is NOT recommended for people with heartburn or gastroesophageal reflux disease (GERD) because it relaxes the muscle in the oesophagus and stomach, thus worsen the acid reflux. Click here to read more about Mint Leaves. There you have it – 6 common herbs and spices to get a quick sore throat relief at home. Would you agree with me that these are the most natural and economic remedies? I am frugal, yes. 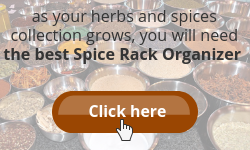 But why would you not use the amazing herbs and spices you already have at home? Having a sore throat is a common occurrence in people of all ages. It is usually caused by a viral infection which may be a symptom of a cold or flu coming on. A sore throat may also be caused by bacterial infection. In this case, it is called strep throat and best treated with antibiotics. Remember to seek medical attention should you suspect of getting a strep throat or tonsillitis. Otherwise, a sore throat caused by viral infection may be easily treated at home, using the above-mentioned remedies. Don’t let that painful sore throat ruin your day and a good night’s sleep. Here is a summary of the natural homemade remedies for your easy reference. 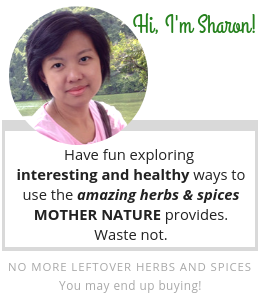 Mother Nature gives us amazing herb plants – use them! 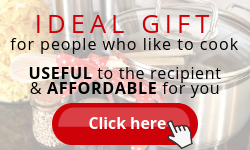 You, who cook regularly will not have a problem getting sage, cayenne pepper and other herbs and spices mentioned. How about YOU, who seldom cook? I am pretty sure you will not want to buy any of those and end up with extras that leads to wastage. I have come across a herbal spray which will help solve your problem – an irritated throat. This easy to use throat spray is aimed to support throat health and healthy inflammatory response. Soothing support from sage and aloe vera, combined with a cooling sensation from peppermint and cinnamon essential oil will give you a much needed quick sore throat relief. Furthermore, you can easily carry this herbal spray in your bag while on the go. How do you feel using these home remedies for a sore throat? Do you have remedies to share? Please leave them at the comments section below. We can learn from each other. I look forward to your reading your comments. Disclaimer: I am not a doctor or medical professional. The material on this blog is provided for informational purposes only and should not be taken as medical advice. It is general information that may not apply to you as an individual and is not a substitute for your own doctor’s medical care or advice. Thanks for sharing such awesome post. I never knew there are so many remedies to soothe sore throat other than gargle with salt water. 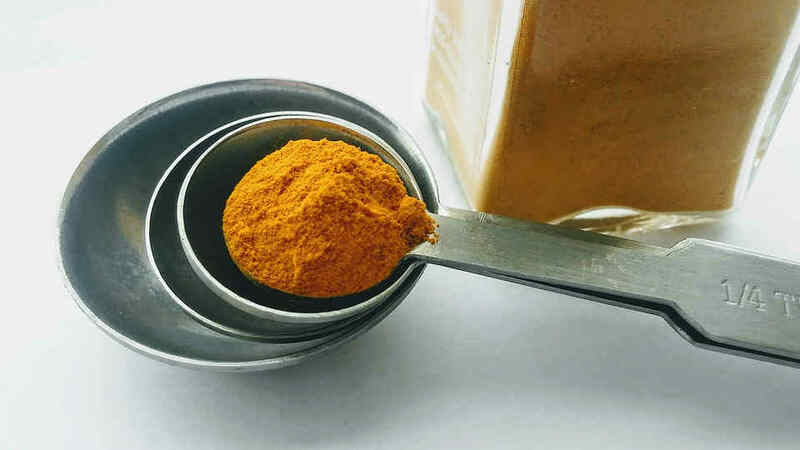 Turmeric and Cinnamon seem like excellent alternative to salt. But can anyone drink Turmeric & Cinnamon drink for whole day? I am tea drinker and do not mind if there’s a need to drink these for the entire day. But my concern is about the side effect if any. Hope you can advise. Thanks. I always believe that too much of anything is not a good thing. However, in this case of using turmeric as a remedy to soothe your sore throat, you are only using 1 tablespoon to 4 cups of water which you will be drinking about 3 cups per day. 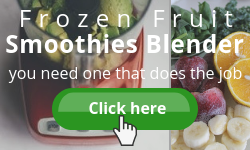 A tablespoon per day is not much. Same goes to cinnamon. But you need to know that each individual reacts differently to the compounds found in these herbs and spices. When in doubt. please consult a medical practitioner before using these as remedies. Also, be aware that there are 2 types of cinnamon, Cassia and Ceylon. Cassia has a higher amount of coumarin compound which may cause health problems. Read more about cinnamon here. Should you have further queries, please feel free to message me. Though having a sore throat might not be considered a serious problem but the itchiness and soreness can be really uncomfortable. It becomes even terrible when swallowing of food becomes a problem. I don’t normally like going to the Doctor when I get a sore throat but I guess that is not a good thing as you adviced. My favorite home-made remedy is usually the one that involves the use of salt. I have not really tried other options to know exactly how they work. I am not looking forward to getting another sore throat but if I do, I would take it as an opportunity to try out your suggested sore throat home remedy reliefs. I can relate to your sore throat experience. When it gets bad and disrupt my sleep, it is horrible. I hope, not that I want you to get a sore throat ;-), do try out the remedies. Let me know how to works out for you. I prefer remedies and solutions that encourages us to use what’s commonly in the home so I absolutely love your suggestions! But as you’ve rightly supposed, there are some of us (me included) who do not cook much so I would not have any tumeric, cloves, cayenne, peppermint etc etc etc …. except for salt, milk and peppermint chocolates! hehe So I appreciate the recommendation of the Gaia throat spray. I’ll give it a try and if it works well on my system, I’ll be sure to always have one in the house as I’m prone to sore throats. Thanks for dropping by, Cath. I am a frugal mom and dislike wastages thus always find ways to use those herbs and spices in storage. 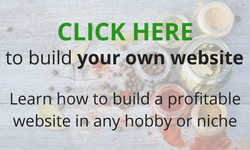 This leads me to explore the world of spices and created this website to share my knowledge and findings. 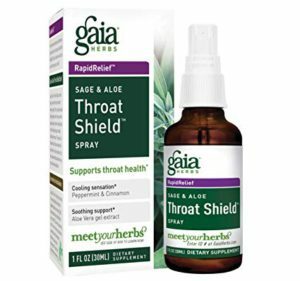 I read much good feedback on the Gaia Throat Spray. Hope it works for you. Let me know. I agree with you, Mother Nature has all we need to treat ailments like you mention. There is normally no need to take pills as those have a lot of undesirable side effects. When I was a little child I often had some really bad colds which would keep me in bed for quite some days. My head, nose, throat, neck, and chest. Sometimes even my ears were nasty. I would suffer this condition a couple of times a year. Luckily I do not suffer this anymore, I suppose my change in lifestyle and diet is helping me. The last time I was really sick in bed was 20 years ago. Some things you mention, like Tumeric, I use on a daily basis. Thank you for this good post. It will certainly help a lot of people. Nice to see you here. Thanks for sharing your experience and positive feedback on this post. Thanks for providing great information how to get a quick sore throat relief, I found the article well detailed. I think the easiest way is to mix salt with water, the anti bacterial properties of salt will help relief the sore throat, Glad to know about tumeric from your post, thou I know curcumin has anti-inflammatory properties but I never knew it helps get rid if irritation. Hello Clement. You are correct, salt water solution will do the trick. If you have turmeric or other spices mentioned here, why not use them? These have been used since ancient times for health purposes. Thanks for commenting. I absolutely hate sore throats, they just ruin your day. Worst of all they generally tell you that you are coming down with something bad. I didn’t really know the difference between strep, tonsillitis, and viral infections, thanks. These home remedies are terrific, salt was an interesting one and Cayenne pepper. Tumeric, sage, cloves, cinnamon, and peppermint are all remedies also? Who would have thought! Thanks, heaps for these wonderful tips, let’s hope I dont get a sore throat soon to try these out. Thanks. Thanks for dropping by, Kris. These easy homemade remedies will come in handy. I like the tips you give here, I actually had a viral infection a week ago, and it went with a lot of pain. If I saw your post before, I wouldn’t had so many problems as I had now. Anyway, thanks for sharing, I will try the salt and the pepper the next time I have it! I have used salt water and lemon with honey since I was a little one. My mom would make these for me at the first sign of a sore throat. I use Turmeric for arthritis pain in my foot. I will try the tea next time I have a sore throat. Thanks for the tea for my sore throat, I think is is much better than the sugar filled cough drops. Thanks for sharing such a simple solution for a sore throat. I do agree with you that the cough drops can be sweet, too sweet. Thanks for sharing. I would suggest adding salt to the warm water. Use it to gargle 3 times daily. The salt will help to flush out bacteria or irritants. Of course, when all remedies do not help or the situation worsen quickly, always seek medical advice from a doctor. Wow. Sore throat is one of the most annoying sickness we can ever get. It really messes up your whole day and irritates everything around you. Instead of using modern medicines with a possible effects I prefer following your home remedies which is natural and I’m pretty sure much effective than the modern medicines. You have really constructed an amazing article here. Thank you for sharing this insightful and useful article. Thanks for your positive feedback, Sujandar. Herbs and spices have been used since ancient times as remedies. Although modern medicines help in some way or another, why not use the naturals Mother Nature provides. 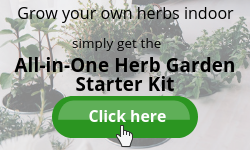 There are many uses for herbs and spices besides cooking, please feel free to browse this site or visit periodically for more interesting articles. Hi Sharon! Sore throat is very irritating, it makes me so uncomfortable and can be very frustrating especially when the itchiness prevents me from having a good night rest. The severe ones wont even allow me to swallow anything liquid or solid. Thanks a lot for listing the causes of sore throat and its symptoms. You did great by giving detailed information on how to use home remedies in relieving sore throat. You know, each time I suffer from sore throat, I do wonder how I can detect it from my kids in case they suffer from it too. With the symptoms you have given, it will make it easier for me to detect. Thanks for your wonderful review. I can relate to your situation. Having a sore throat can be unpleasant and I understand what you mean by not having a good night’s sleep. Do be mindful when children are having a sore throat. Always seek medical attention when the symptoms persist. I enjoyed reading your artiicle on the different types of sore throats and remedies. I tend to use natural products when I can. I worry that antibiotics are prescribed too often. My favourite remedy for a sore throat is gargling with salt water. I also have used oil of oregano. Thanks for sharing your information on how to get quick relief from a sore throat., I found your article very informative. I often use tumeric and pepper in my cooking… I look forward to trying it in a tea. I have not tried oil of oregano. I shall give it a try should I get that nasty sore throat. Thanks for sharing. Do let me know how you like the turmeric tea. Do you know pepper can provide relief for a canker sore? Read more about it here. Thank you for sharing this article. I frequently get sore throats due to allergies, and I’ve been trying to cut down on chemicals and over the counter/drugstore remedies, so your suggestions for more natural remedies using spices in my cabinet at home is super helpful for me! I’ve never tried gargling with salt or cayenne pepper, but I think I will definitely try one or both of those next time. I’ve tried hot tea before, with limited success, but I’ve not tried it with cinnamon, sage, cloves, or turmeric. I’ve bought over the counter peppermint tea to help with my sore throats–do you think that’s ok on it’s own, or should I go ahead and try the recipe you suggest with the ginger and the garlic? Personally, when I feel a sore throat coming on, the first I do is gargling with a saltwater solution to flush out the bacteria. I have to admit, being lazy at times, peppermint teabag is what I use to steep a cup of soothing tea. It does help to soothe the pain a little. However, if you are experiencing a bad sore throat, I’ll suggest making the herbal concoction of peppermint, ginger and garlic. I find it more tasteful with honey and lemon added. I appreciate you have indicated when it is serious enough to consult a doctor. Interesting the use of cayenne, turmeric and sage – I wasn’t aware of the pain relief capability. The cinnamon and cloves I was aware of. The various concoctions you describe all look worth a try. What I like about them is they sound tasty and not medicinal, something you would love to drink. Thanks a lot for all the info. Tasty, yes they are but very much depend on individual liking. However, if they help in relieving a sore throat naturally, I believe it is worth drinking. Personally, I like the clove tea. The taste and aroma are wonderful. If you have the chance to try them all, tell me which one is to your liking.